Posted in embryo, tree and tagged blood vessels, embryos, tree of life. Bookmark the permalink. 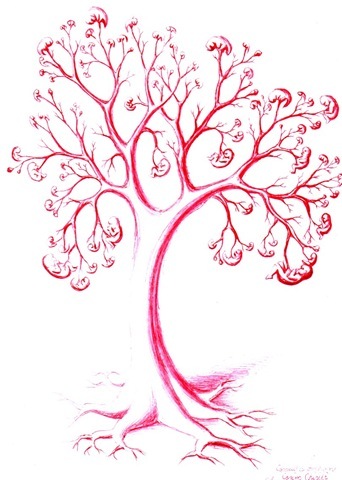 This is my red pen drawing of the tree of life, a tree made of blood vessels with embryos growing like fruit on it. 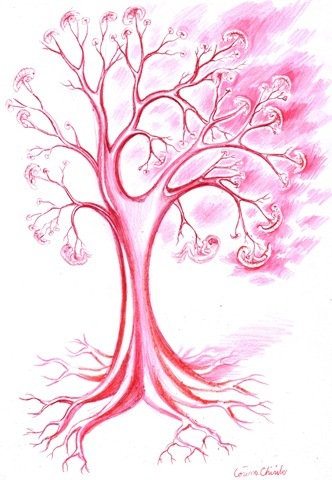 Posted in embryo, pen drawings, tree and tagged blood vessels, embryos, fruits, pen drawing, tree of life. Bookmark the permalink.